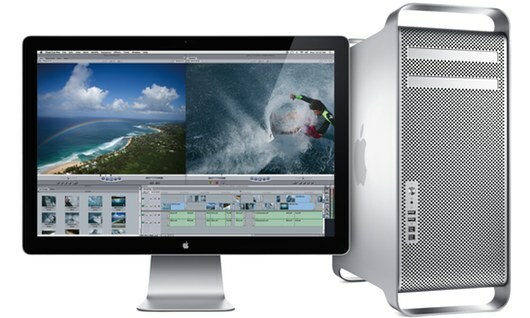 Apple’s current Mac Pro product line will turn two years old on August 9, 2010. That means the “new” product you can buy at your local Apple Store or online hasn’t been updated in a very long time, a near eternity measured in internet time. This moldering hardware has the Mac tower user base — content professionals and gamers — expressing their collective angst on a Facebook page that’s essentially a petition asking, nay, demanding that Apple release a new pro tower. As is their wont, Apple is silent on the subject. Bloggers and journalists, though they have nothing other than Apple’s silence to go by, are anything but quiet and they’ve been declaring the Mac Pro’s death, again and again. Why should we believe Dalrymple? Because he has an unrivaled record vis-a-vis rumors, unannounced products and launch dates — he’s got better sources than anyone in the business and is rarely if ever wrong. Another reason to believe is that all of the Intel bits and pieces — new Xeon processors and big iron versions of the chipmaker’s Ivy Bridge chipset — have recently become available.